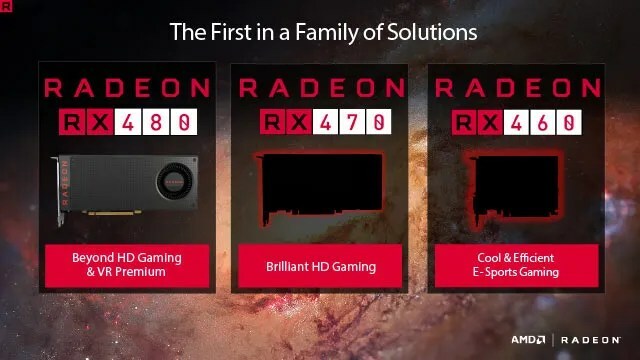 More information has trickled in about AMD’s Radeon RX series of graphics cards. We saw the Radeon RX 480 at Computex 2016 and then at E3 2016, AMD unveiled the Radeon RX 470 and the Radeon RX 460 which completes the lineup. We now have more information about these Polaris based graphics cards. The Radeon RX 480 will come in two memory-size variants, 4 GB and 8 GB. AMD has priced the 4 GB variant of the Radeon RX 480 for $199 and it is extremely likely that the 8 GB variant will be priced at $229. While we don’t have word on official Indian pricing, we should have that in a few days. Stock cards will be clocked at 1080 MHz with a boost clock that runs up to 1266 MHz. AIB cards will, obviously, have higher clocks and beefier coolers while charging a premium over the $199 price tag. While we can’t confirm performance figures till we get samples to test, we’ve seen 3DMark Fire Strike benchmark scores for the 8 GB Radeon RX 480 beating the R9 390X and matching the GTX 980. That makes these cards, ridiculously powerful at this price point. 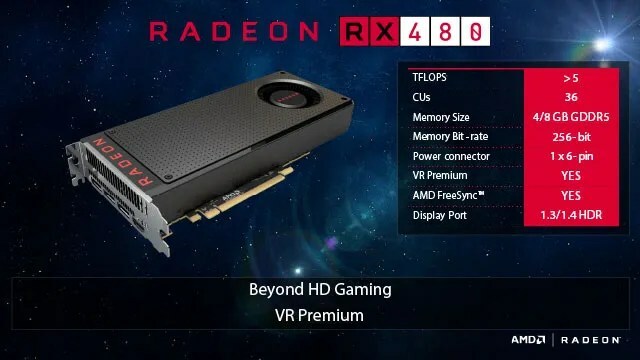 The Radeon RX is based off the Polaris 10 GPU which has 36 Compute Units crunching out more than 5 TFLOPs. 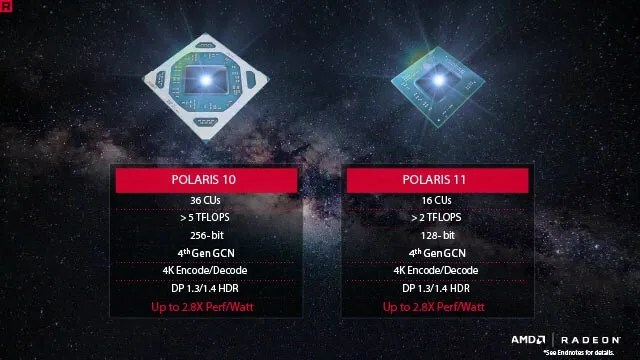 This 4th Gen GCN chip has 4K Encode/Decode capabilities and reportedly provides 2.8X Perf/Watt compared to the previous gen.
And the recently unveiled, Radeon RX 470 and Radeon RX 460 are based off the smaller Polaris 11 GPU which has 16 Compute Units capable of belting out more than 2 TFLOPs across a narrower 128-bit bus. Again, the Polaris 11 is also 4th Gen GCN with the same feature set as the Polaris 10. The fewer Compute Units also translates to lower power consumption. While the Radeon RX 480 is being marketed as a game changer for the VR industry, the Radeon RX 470 and Radeon RX 460 are no different. The RX 470 is poised to hit the sweet spot for 1080p 60FPS gaming while the RX 460 is aimed at the e-sports community who require low latency 60 FPS smooth gameplay in the competitive arena. We do not have pricing details for these cards yet, however, more should be revealed towards the final launch date.